All memberships include group WOD sessions, open gym access, nutrition counseling, and more! Installment plans must be paid at the gym. Membership not required for group Spinning and Yoga classes. Must also pre-register via WODHOPPER. Membership not required for Olympic Lift and Mobility classes. Must also pre-register via WODHOPPER. CrossFit Kids provides an active alternative to sedentary pursuits, which means less childhood obesity and all-around better health for your children. Foundations techniques class is required of all new members before they can move on to advanced WODs that include Olympic lifting. 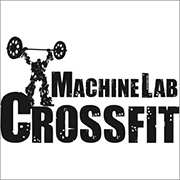 One-on-one training with a MachineLab CrossFit coach.